PASADENA — “Growing up Sansei,” a community event and dialogue about our Japanese American upbringing, will take place on Saturday, April 28, from 2 to 7 p.m. at Pasadena Buddhist Temple’s Sakai Hall. Presented by the temple in partnership with the Grateful Crane Ensemble, “Growing up Sansei” (GUS) combines a live reading of Soji Kashiwagi’s comedy/drama “Garage Door Opener” and a community dialogue facilitated by Dr. Satsuki Ina, a Northern California-based psychotherapist who specializes in cross-cultural counseling and trauma. 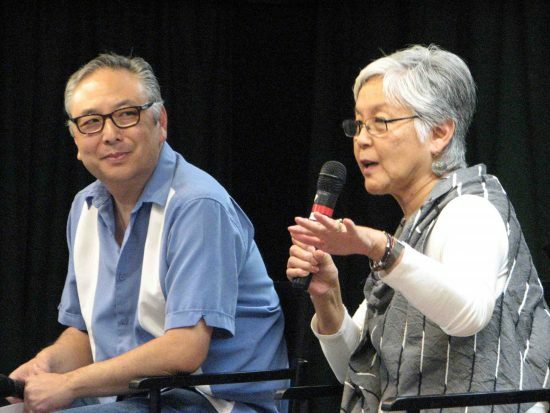 In 2016, the San Fernando JACL hosted the first GUS event at the San Fernando Japanese American Community Center with 300 people — most of whom were Sansei — in attendance. In 2017, 400 showed up in Sacramento, 425 in San Jose and 400 in San Francisco. In total, over 2,000 people statewide have attended the event thus far. In the play, the audience meets a Sansei brother and sister faced with the daunting task of cleaning out their parents’ garage and house after both have passed away. As they sift through dozens of tofu containers, kamaboko boards and broccoli rubber bands, they begin to uncover items from their past they knew nothing about. In the process, they begin to gain a better understanding of their parents — and themselves — by the items their mom and dad left behind. 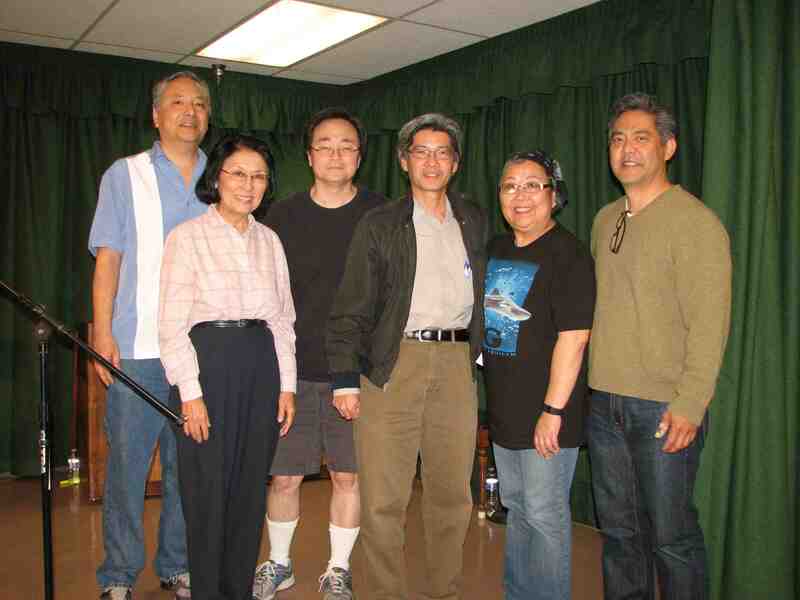 Playwright Soji Kashiwagi (left) and the cast of “Garage Door Opener” — Dian Kobayashi, Ping Wu, Shaun Shimoda, Haruye Ioka and Kurt Kuniyoshi — at the San Fernando Valley Japanese American Community Center in 2016. The cast for the reading includes long-time Grateful Crane members Haruye Ioka, Dian Kobayashi, Kurt Kuniyoshi and Shaun Shimoda, with stage directions read by Ping Wu. Members of Grateful Crane’s Yonsei acapella group, The Grateful 4, will also be on hand to sing a couple of ’60s/’70s-era songs to set the tone for the reading. General admission is $35 for reading, discussion and dinner. For reservations, visit www.PasadenaBuddhistTemple.org or request an order form by calling the temple at (626) 798-4781.